Dr.M.Sivaraja is a growing dynamic academician and researcher coming from Kongu Engineering College, Perundurai and brings with him an illustrious career in teaching, research, industry and international relations spanning of 15 years. He did his Ph.D in Civil Engineering from Anna University, Chennai and then Post Doctoral Research from University at Buffalo, The State University of New York, USA in the field of Composite Materials. He served various positions in different institutions. He was awarded the BOYSCAST Fellowship by Department of Science and Technology, New Delhi, Career Award for Young Teachers by AICTE, New Delhi, Young Engineer Award by The Institution of Engineers, Kolkata, Best Faculty Award by Nehru Group of Institutions, Coimbatore and CTS-KEC Overall Best Teacher Award by Cognizant Technology Solutions and Kongu Engineering College. 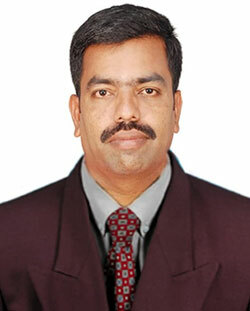 He is the member of various professional bodies and reviewer of reputed international journals.